Mr. Herman Saunders Bowen, 80, went to be with his Lord on Friday, May 5, 2017. He was a retiree of the North Carolina Department of Transportation, Bridge Maintenance Department, a job that he loved. He loved to repair anything that was broken and worked with his hands to create many things, a true craftsman. He loved fishing and NASCAR racing, but most of all he loved the time that he was able to spend with his grandchildren. A graveside service will be held on Monday, May 8, 2017 at 2:00 P.M. at the Bowen Cemetery on Price Road in Williamston, N.C. Visitation will be at Biggs Funeral Home in Williamston from 6:00 - 8:00 P.M. on Sunday evening, May 7, 2017. 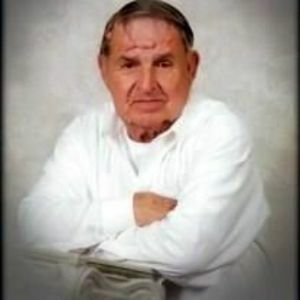 Mr. Bowen is survived by daughters Tracy Leggett and husband Mitchell of Robersonville, N.C, and Donna W. Wells of the home; grandchildren, Justin Leggett, Joshua Wells, and Hannah Wells, three great grandchildren and several nieces and nephews; also survived by his brother, Robert Bowen and wife Gayle of Williamston; his sisters, Doris Bowen Mobley and husband James of San Diego, California, Allie Faye Bowen Toth of Mocksville, N.C. and Lou Bowen Dunlow and husband Hodie of Williamston. He is preceded in death by his parents , Willie and Emma Bowen of Williamston, and sisters, Fannie Bowen Leggett of Richmond, Virginia and Dolly Bowen Nicholson of Williamston.